Entries and nominations will be accepted from the entire South Asia region. All entries should relate to achievements ONLY during the period 1 October 2017 – 30 September 2018. 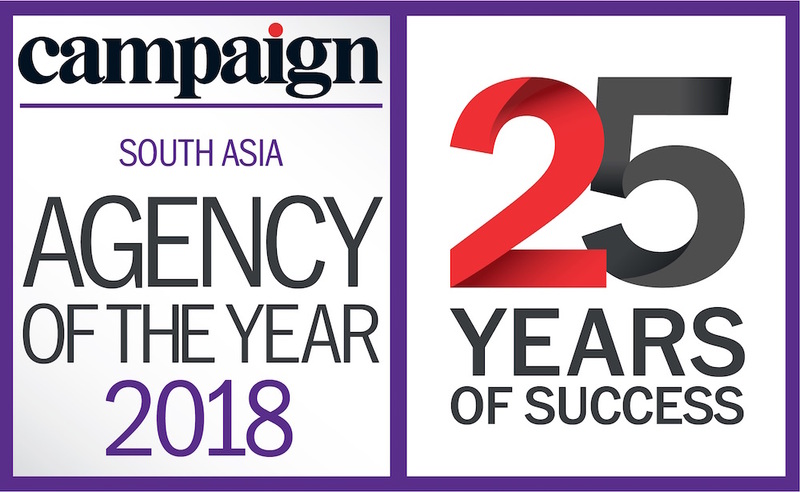 The South Asia Agency of the Year judging panel will comprise a minimum of five client marketers and senior Campaign editors. In the first round of judging, judges will review and score entries independently and the scores will be sent directly to PricewaterhouseCoopers to verify the shortlist. The jury will then meet to discuss shortlisted entries in both the people and agency categories. Anamika Sirohi has built brands and businesses for over 17 years in various MNC and Indian organizations, mainly in foods and personal care. She has also led media, digital, design and brand communication at Nestle India. She currently heads marketing at Hindware, the Indian leader in sanitary ware and bathroom products. She is an MBA from FMS Delhi and has completed her graduation in Electrical Engineering from MNIT Jaipur. A passionate marketer, she writes regularly on marketing for publications like the Forbes and Fortune. She also speaks often at conferences on business and marketing. Her other passions are running and travelling and she is a certified yoga teacher. Deepa started her career as a journalist and moved to communications 24 years ago. A multi industry veteran, in addition to her agency experience in Infrastructure and Consumer electronics (Philips), she has held leadership positions at The Park Hotels, SpiceJet and Airtel. Currently, Deepa is the Head of Communications & CSR for India Sub Continent for GSK Consumer Healthcare; member of the India Management team and APAC Communications Leadership Team. Her areas of expertise include Consumer Communications, Corporate Reputation, Employer branding, Online Reputation Management and Issue Management. Girish Kalra has been associated with ICICI Lombard, the largest private sector general insurance company in India for 6 years. In a career spanning nearly 2 decades, he has worked on all aspects of marketing & corporate communication. He has multi industry exposure across advertising, consumer goods, mutual funds and insurance. In addition, he has worked under Indian and MNC leadership structures. Girish holds an MBA in Marketing and Bachelor of Engineering (Electronics & Telecommunication). He has been a jury member at various Marketing awards forums and has been invited as a guest speaker at many occasions. Neeraj Kumar is a Consumer Marketing, Commercial Sales and Business Strategy Leader, with 24 years in brand building, Commercial acumen and strategy. Previously, Marketing Director, Beam Suntory Asia based in Singapore, Neeraj has recently taken responsibility as Chief Commercial Officer for Beam Suntory India. Beam Suntory is the 3rd largest spirits company in the world. The company’s brands hold global & national leadership positions in key categories, including Jim Beam, Maker’s Mark, Knob Creek Bourbon collection, Yamaziki, Hibiki, Hakushu and Chita Japanese whisky portfolio, Teacher’s Scotch, Laphroaig, Bowmore & Ardmore Scotch Malts, Sauza Tequila; Canadian Club Canadian whisky, Courvoisier Cognac, Roku and Larios gin amongst others. As the Regional Marketing Director covering China, Taiwan, Korea and South East Asia, Neeraj has been involved in Country Growth Strategy and Brand Portfolio development, Consumer Insights led innovation agenda and supporting Channel Development and the wider marketing mix. In his previous assignments, Neeraj has served as the Global Brands Director for Beam Suntory based in Sydney. His past roles include building bridges from Concept to Consumer at Electrolux and Pepsico. Rahul Kumar is a marketing and communications professional with experience in Ad agencies and Corporates across a wide range of sectors like Automobiles, Paper and Energy. He is currently working as the Digital Customer Experience Leader for International Operations and is a part of the Global Marketing Organisation at Schneider Electric. Based out of India, he covers diverse geographies from Pacific region to South-East Asia, Japan, India, Middle-East & Africa and South America. His responsibilities involve driving digital transformation by enabling his countries to adopt and use digital initiatives that enhance the digital experience of their customers. He believes that today’s competitive, fragmented markets require creative, technology driven solutions aligned to Customers’ persona and buying journey. After serving as Marketing Head for McAfee India, and SAARC for over 4 years, Rupa Roy was elevated to Head Marketing at an Asia Pacific level. As part of her profile, she heads a team of professionals spread across APAC, focusing on making McAfee the torchbearers for the industry. She is a strategic planner with proven abilities in supporting organizational growth through effective marketing & communication initiatives. Her key responsibilities include driving the business and revenue goals, strengthening the customer base and ensuring channel alignment. A marketing veteran with over 16 years of industry experience, Rupa has expertise in Business Development, Strategy and Operations in the IT Industry. As education promotes readiness, Rupa’s marketing efforts are aligned to help people understand security threats, and further educate them. In doing so, she has promoted awareness through all their marketing efforts, sensitizing consumers as well as enterprises about evolving security threats. In the consumer side of the business, 2017 saw the birth of the Blue Whale Challenge and through the Cybermum India programme, her team were able to reach out to parents to advocate a safe online experience for all. Rupa joined McAfee from Cisco Systems Inc., where she held various marketing management and sales operations roles over the past 10+ years, as Manager of Channel Strategy and Operations as well as Head of Marketing for Commercial and Channel. Rupa holds a MBA from Xavier Institute of Management and Entrepreneurship (XIME), Bangalore.